Web Development Firm based in Albuquerque, NM. We Don’t Just Build Websites. We Build Movements. From the foundation – we work with our clients to hone in on their brand story and develop key concepts to be shared with their audience. We use content marketing strategies that will drive Search Engine Optimization (SEO) with qualitative and quantitative insights. We help Albuquerque businesses develop their brand from concept to reality. We are experts in Albuquerque web design, SEO, video production and graphic design. Our team of content artists strive create the best visual web content for your business. We capture stunning images that will captivate your audience. WE help Albuquerque start-ups to established businesses develop their unique voice and online presence and tell their brand story. We develop custom web content for your website to differentiate your Albuquerque business from the pack. Stories bring people together – it is the common thread that unifies B2C, B2B clients and employees. The story is what unifies your tribe – and inspires sharing and community building. We help develop and tell your unique business story through custom digital media and proven content marketing strategies so you build an authentic and loyal customer base. Share your business story – people will be inspired. Lead with authenticity and inspiration. 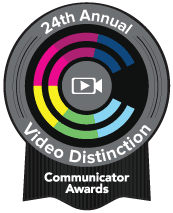 The Communicator Awards is the leading international awards program honoring creative excellence for marketing and communications professionals. Click HERE to learn more about the honor and watch the award winning video. Rad5 Media creates fully responsive web designs that adapt to any screen size. Try resizing your browser window to view it! We create full spectrum online marketing strategy to create quantitative and qualitative engagement for SEO. Rad5 Media specializes in building outside the box guerrilla marketing strategies. Identify your market and build your brand story. We specialize in creating powerful visual elements and generating video marketing content for websites. Cinematic story telling will develop your business brand and attract clients. We design innovative and interactive print media. Tell your company story through infographics, powerful imagery. Social media strategy is essential for business success. We develop and implement method to deliver efficient and thoughtful messaging to develop your following. We add value to your Albuquerque business through strategic web design. Web Development, SEO, Social Media Storytelling and Video Production are our passion. You’ll never beat the internet on volume. There is a lot of noise. Create content that speaks to your business philosophies and brand. Video Marketing is the most effective way to share your story through the stories of others. Cornerstone content will pay dividends if you focus on developing high quality content, has a unique perspective, and has clear messaging. Here’s a story we were fortunate to tell. At Rad5 Media – we’ll help you create a powerful eCommerce site that will engage your customers in new ways. Maximize your profits and SEO visablity with a dynamic online shop. Using a variety of techniques, we will evaluate your current status and make recommendations on ways to improve your SEO. We identify key metrics to increase your visibility online. We develop implementable processes for your business to ensure sustainability and consistency of your web content. Most important, we develop key measurable metrix to ensure your web marketing stays on track. We’ll analyze your current market and make recommendation on your rebranding strategy to maximize customer engagement. With strategy built with quantitative and qualitative market data – together we will make informed decisions to set your company’s direction and fulfill its potential. Your logo is the stamp for the brain. Work with our team to develop something new and fresh that will build a lasting impression as you build your brand. We can also develop various print material from brochures to infographics. Gone is the day of posting cat videos for SEO. You need custom curated content to tell your business story effectively and to build a loyal following. We’ll help you build a business strategy that meets your vision and your customers needs – from Youtube Videos, blog writing with custom images and infographics. We live, eat, breathe web design, video production, business strategy, photography and travel. Let’s go somewhere.